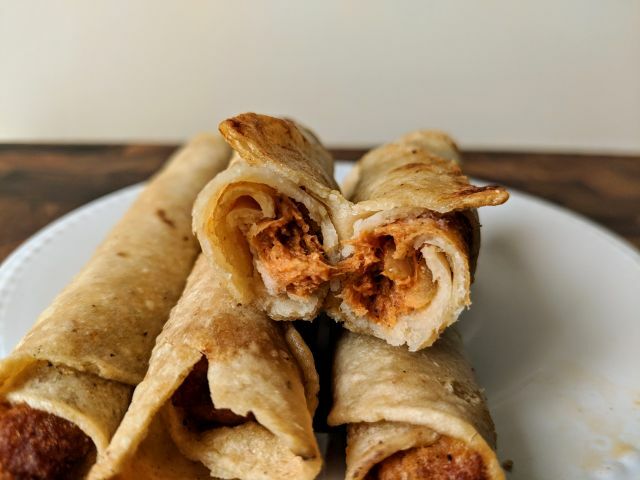 Feel Good Foods Chicken & Chipotle Taquitos feature rolled corn tortillas filled with antibiotic-free chicken, chipotle, and caramelized onions. A 9-oz. box with six taquitos normally costs $4.99, but I got this courtesy of Feel Good Foods. 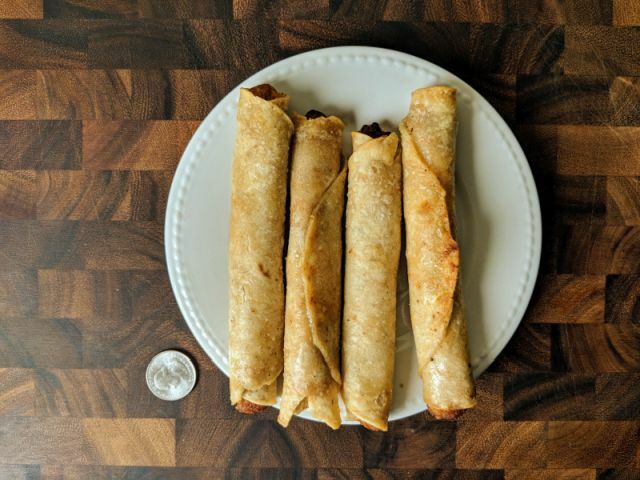 The corn tortillas have a different mouthfeel than in your typical frozen taquitos, with a much smoother texture that's less grainy. These don't appear to be fried beforehand and are softer as a result after oven heating, although the edges do crisp up fairly nicely. They remind me a little of the corn tortillas you'd get on streets tacos. Based on the description on the front of the box, I expected the filling to have a smoky, spicy, and lightly sweet profile. To my surprise, it was rather tangy and a quick look at the ingredients informed me that was probably due to the tomato paste and lime. These definitely have a unique flavor in comparison to typical frozen taquitos that's more bold and fairly spicy. I couldn't taste any of the caramelized onions, though, which is a shame because that's what I looked forward to the most. 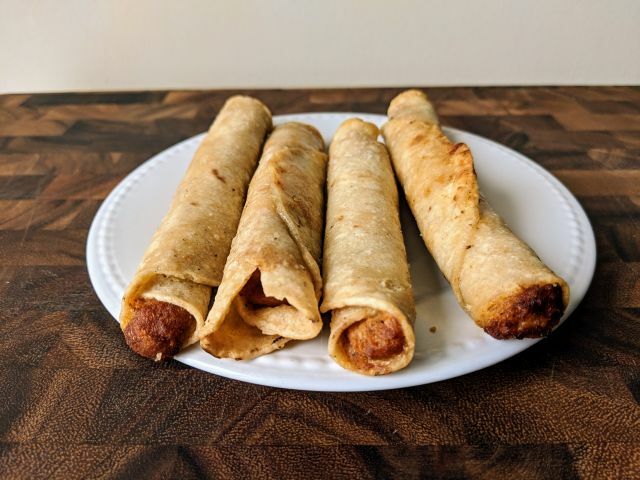 Like most frozen taquitos, the meat was generally texture-less and primarily mushy. When I chewed it very carefully, I could identify the fibrous texture of the shredded chicken but it's not immediately apparent. 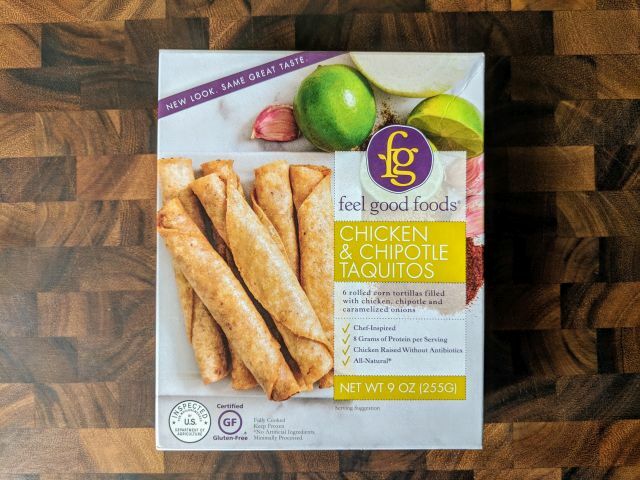 Overall, the Chicken & Chipotle Taquitos by Feel Good Foods offers a unique flavor profile that sets it apart from typical frozen taquitos. That being said, I found the flavor to be disappointingly tangy and yearned for the savory sweetness of caramelized onions during eating.